Secretary of Cruelty Kirstjen 'I Put Kids In Cages and Then Lie About It' Nielsen is out, which we'd love to celebrate except she was tossed because she wasn't sufficiently horrifying: She didn't kidnap enough terrified children or jail enough innocent parents or abuse enough basic Constitutional tenets or spout enough repugnant lies or adopt draconian enough methods - machine guns or fewer mylar blankets? 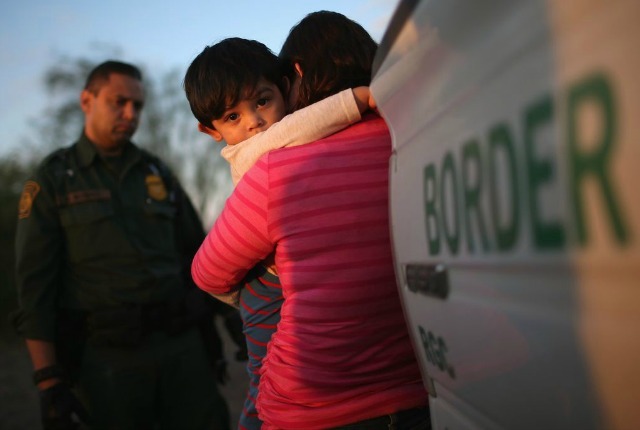 - to stop the flood of brown-skinned misery at the border, though her status reportedly rose after she used tear gas on fleeing families. Also we're not much up for partying because, given the current trajectory, our national horrors will likely get worse. That was made clear Monday when, after Trump earlier ditched his ICE nominee because "we want to go in a tougher direction,” he also fired Secret Service Chief Tex Alles, who reported to Nielsen and whose ears were evidently not to Trump's liking. 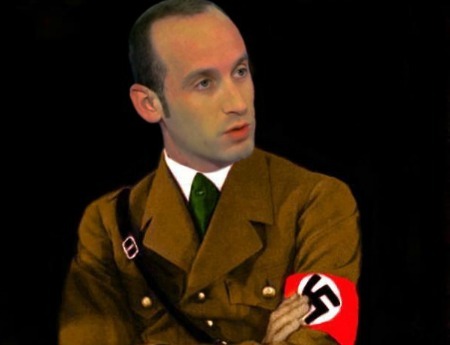 The changes are part of a "near-systematic purge" of the Department of Homeland Security orchestrated by sick Nazi Stephen Miller, who reportedly plans to oust several others deemed inadequately cruel in hopes of expediting the removal of all those irksome, tired, poor, huddled masses yearning to breathe free to achieve his own personal Final Solution. In her resignation letter, Nielsen wrote that ripping toddlers away from their parents was "the honor of a lifetime." "I can say with confidence our homeland is safer today," she declared, thanks to "historic efforts" to "defend our borders (and) uphold our laws and values." She also briefly lamented the "discord in our nation’s discourse" that her noble efforts sparked, evidently forgetting that a racist demagogue's obsession with punishing poor, brown, voiceless people for a fictional crisis was behind them. In truth, Richard Wolffe writes, Nielsen was "the worst among all the charlatans, sycophants and moral sellouts surrounding Donald Trump." She oversaw "the two greatest scandals of the entire human misfortune that is the Trump presidency" - a death toll of 3,000 after Hurricane Maria and the many thousands of separated, traumatized children who will long continue to suffer. She also turned the country's second largest national security agency into "a vastly expensive and vastly immoral catastrophe" whose anti-immigrant prison-industrial complex now spends more on the border than the combined budgets of all our law enforcement agencies - money that could be spent on alleviating suffering in the countries so many are fleeing. As often happens when a now-banished Trump low-life - or, think Bush and Kissinger, any low-life - leaves the scene of their crimes, the white-washing and rationalizing swiftly begins. Forget crying kids in cages, the gulag in El Paso, the comic-book villain's tirade “We need wall” - cousin to Brick Tamland's “I love lamp” - the sending of abused women back to likely death, all the contemptible lies. In a newly revisionist telling, the New York Times recounts the hardships Nielsen faced as she fought off early morning calls from a furious Trump demanding more, faster, crueler, now, and screw the law. Still, she did as she was told, and the ugly repercussions remain. In horrific court filings, Trump lawyers said it could take up to two years to track down thousands of families illegally separated; because they are not just evil but inept, they don't even know how many children over the 2,800 documented were stolen from their parents, or how to find them. For those languishing here, Kris Kobach, possible new racist “immigration czar,” has proposed confined "camps" of mobile homes to process migrants: "Then, as soon as they're done, they're on the next plane home." Monday, three House Democrats were illegally denied entry to a prison camp for up to 3,200 migrant kids to oversee conditions, violating a law Trump just signed. And oh yeah - another migrant just died. 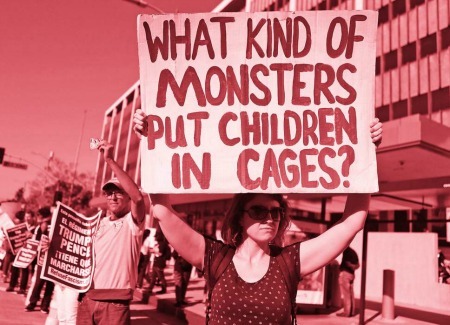 The consensus response to these atrocities: Kirstjen Nielsen, who will forever be the woman who put kids in cages, belongs in the Hague or in one of her frigid hieleras. Barring that sweet justice, and given that war criminals historically often find their slimy way into right-wing think tanks, universities and other lucrative positions, Restore Public Trust's "Trump Administration Separation" campaign argues she and others of her ilk should not be allowed to "seek refuge in America’s boardrooms or corner offices.” In a letter to Fortune 500 firms - taglines "Don't Let Hate Into Your Boardroom" and "There Are Some Lines That Simply Can't Be Crossed" - over 30 advocacy groups join in urging companies not to hire, contract with or seat on boards anyone involved in Trump's border cruelties. That call to "Cancel Kirstjen Nielsen" and "make her a permanent pariah" is echoed in a grassroots pledge, signed by about 100 people to date, not to participate in, associate with or support any public event held by any organization that might employ Nielsen. Many of those signing concede they're unlikely to be in that position; nonetheless, they argue "people with power need to be held accountable for how they use that power," and however far from the belly of the beast, "there is a lot of evil around to refuse to cooperate with." "Actions have consequence," says one. "People who commit crimes against humanity should be shunned and excluded from polite society."